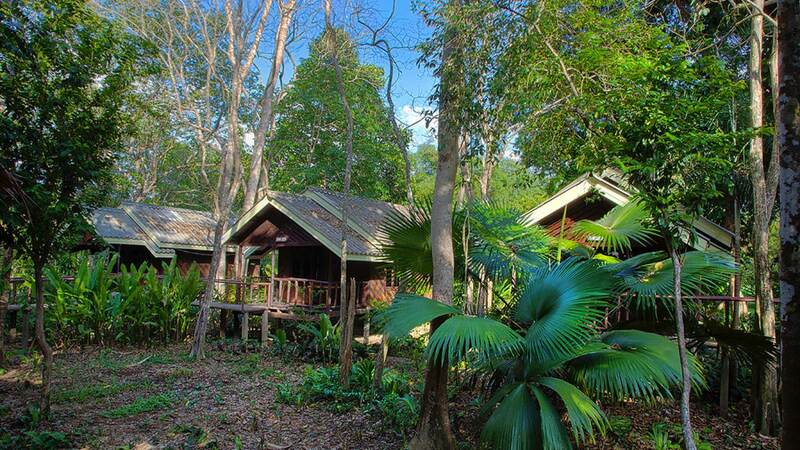 Khao Sok Accommodation at Riverside Cottages. 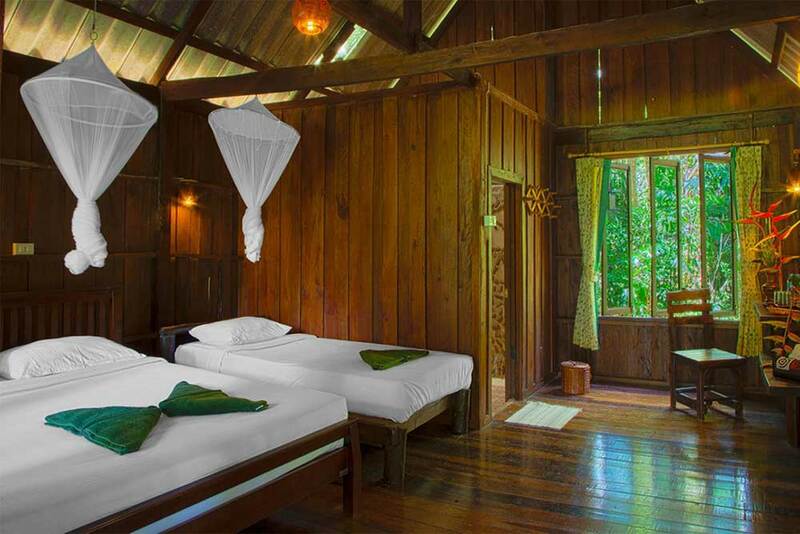 Our Khao Sok Accommodation includes wooden, Thai-style rooms which are a delightful mix of natural beauty, cleanliness, and comfort. 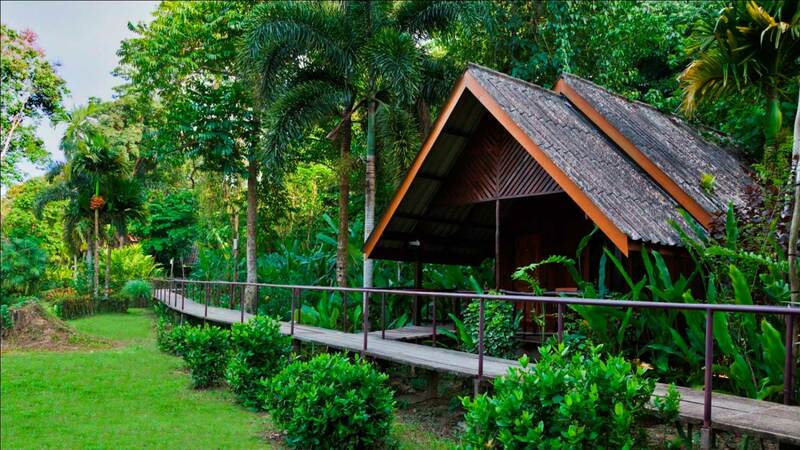 Additionally, your room’s spacious interior, new mattress, and private deck overlooking the river or jungle will ensure an especially restful stay. 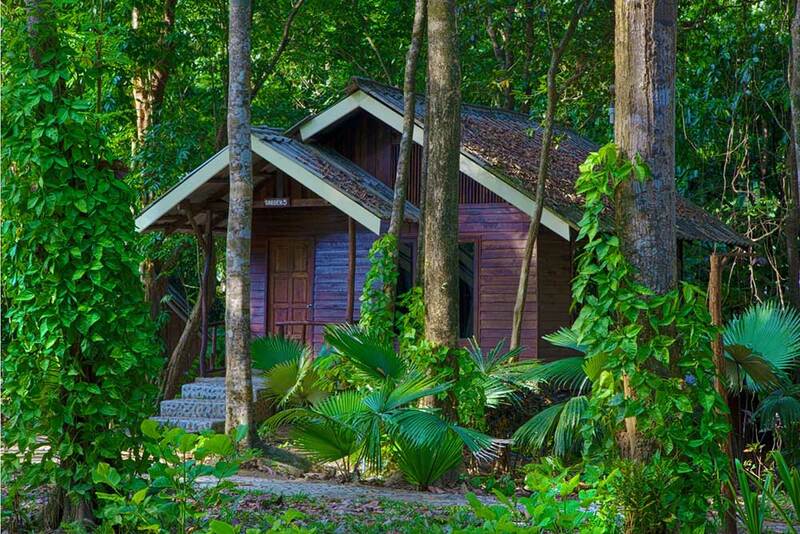 We have recently added Wifi internet to all rooms, allowing guests to stay connected while enjoying the luxury of nature. 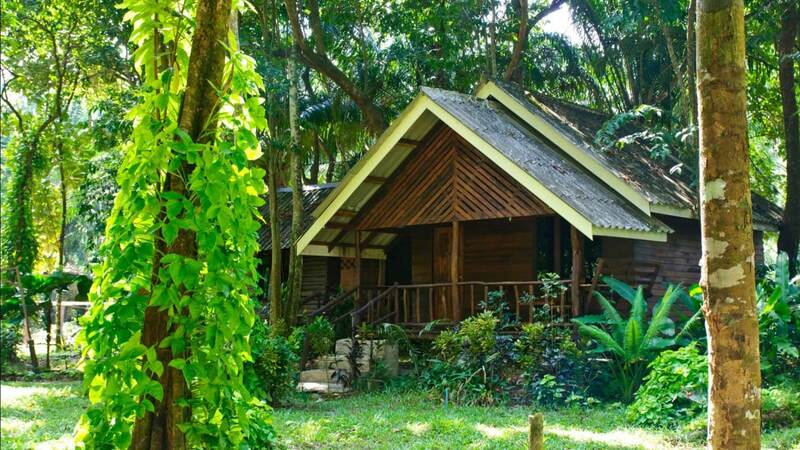 We offer two types of rooms: River Cottages that are closer to the river, and Jungle Houses nestled between forest trees and tropical gardens. 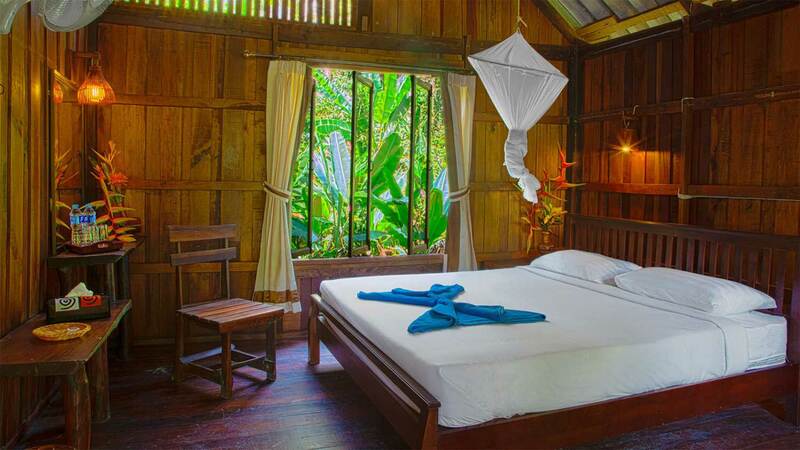 All rooms have fans and mosquito nets for your comfort. 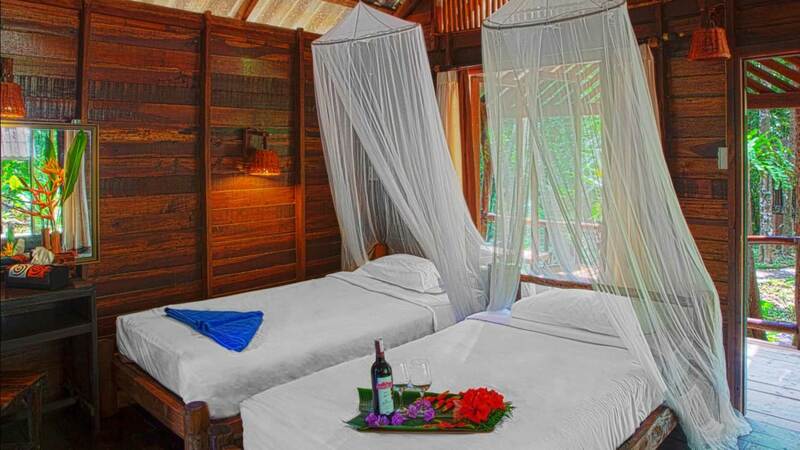 We have rooms to accommodate couples, families, and groups of all sizes. 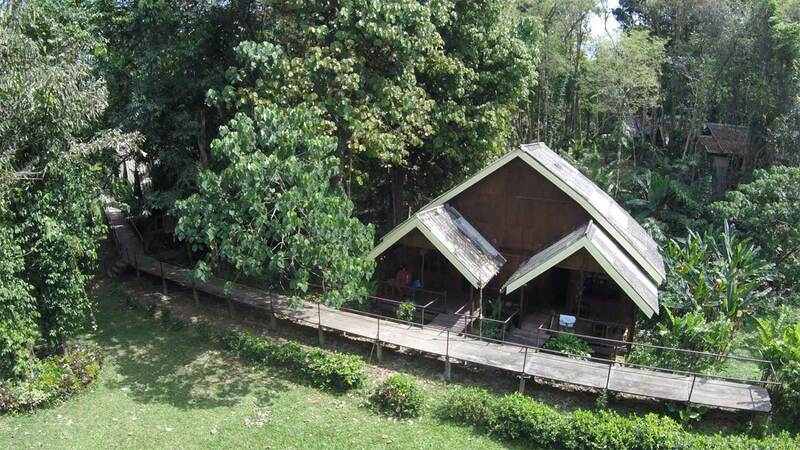 Please note that, for environmental reasons, the River rooms are not directly on the river bank, but have a nice view of river area. 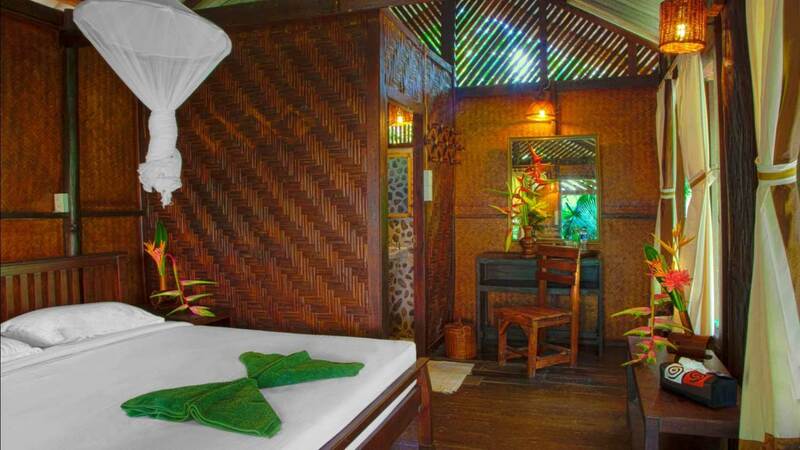 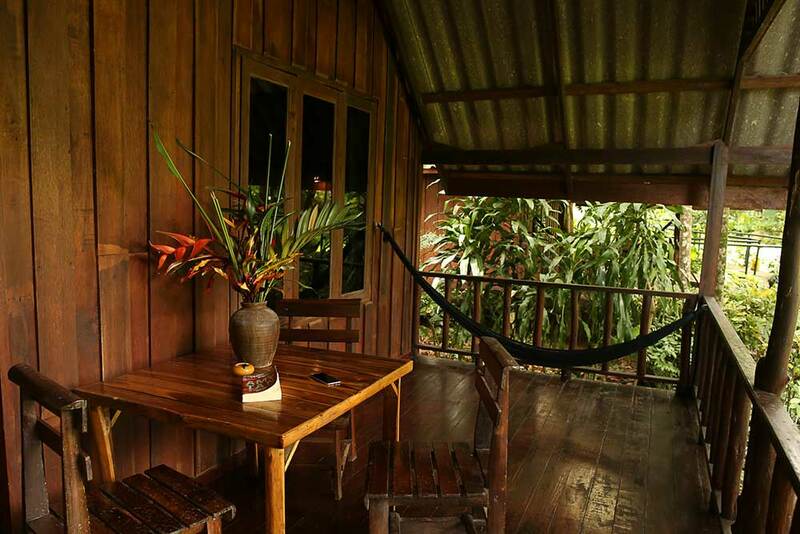 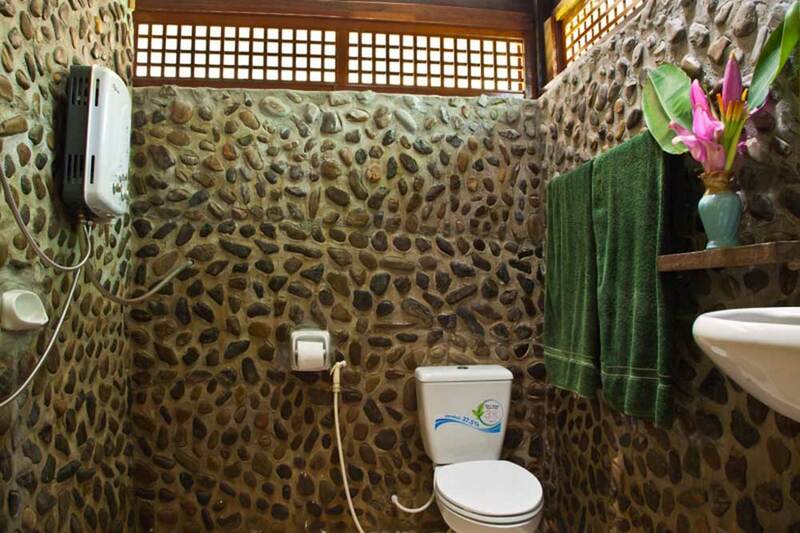 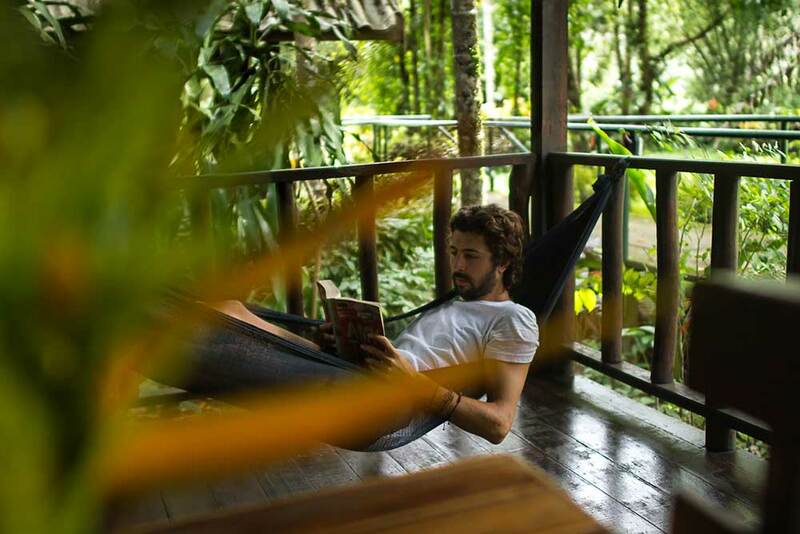 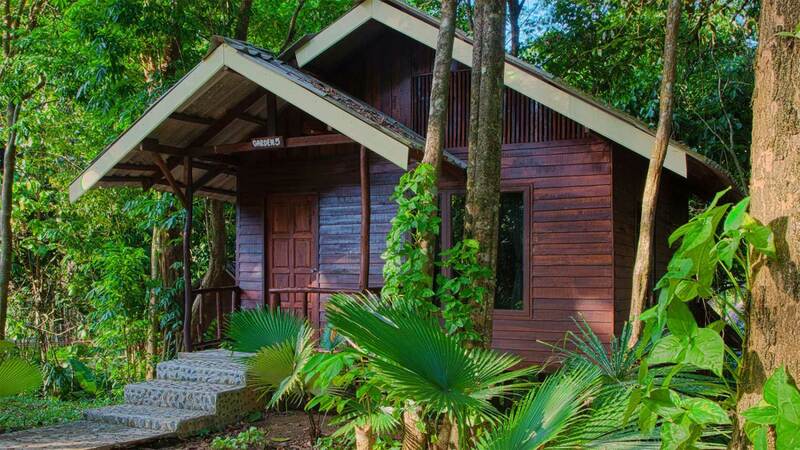 Enjoy the feeling of the forest while relaxing in a spacious wooden bungalow. 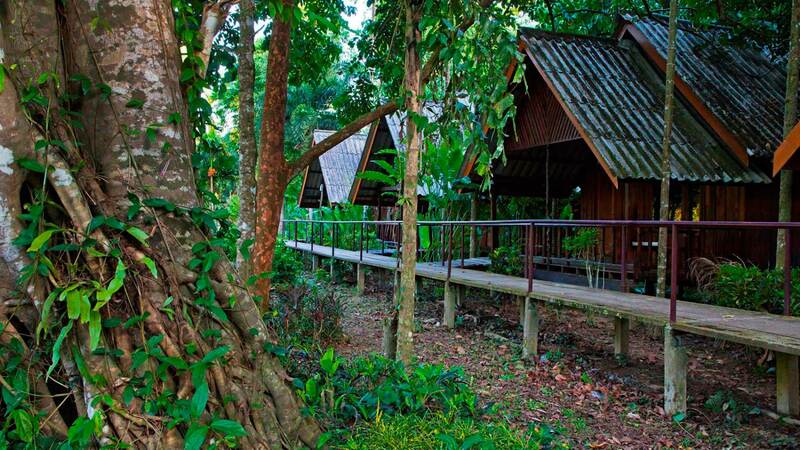 The river is a 1-2 minute walk through the trees and gardens, just past the restaurant and lounge. 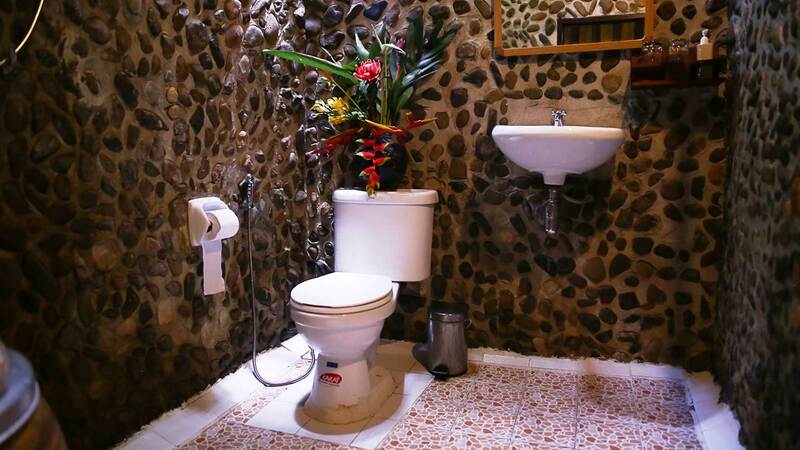 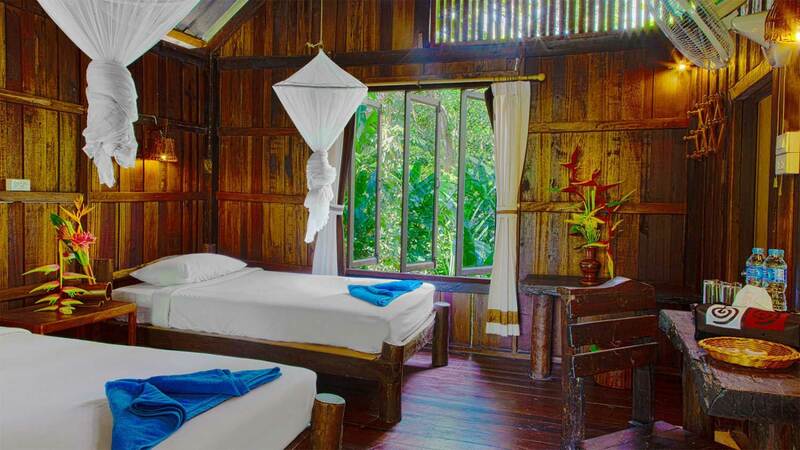 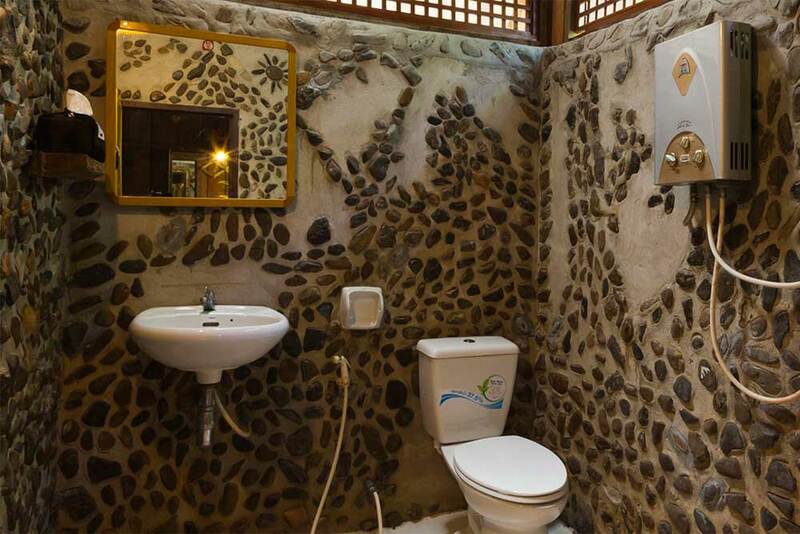 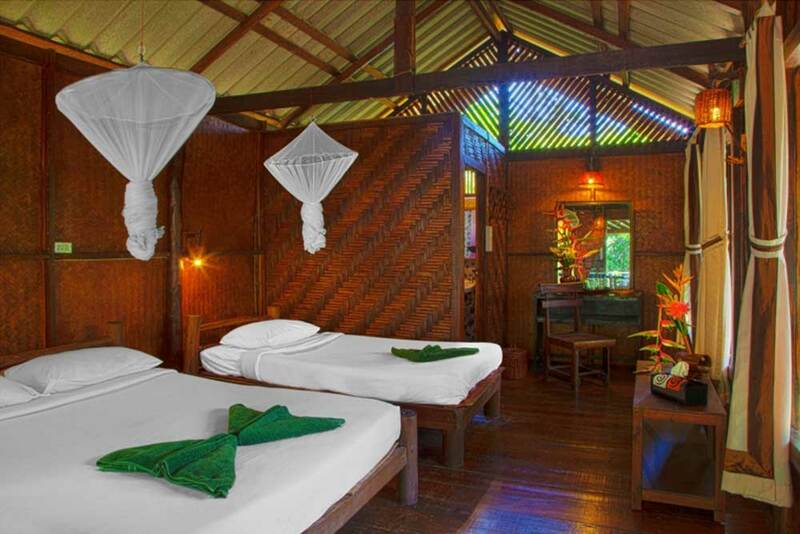 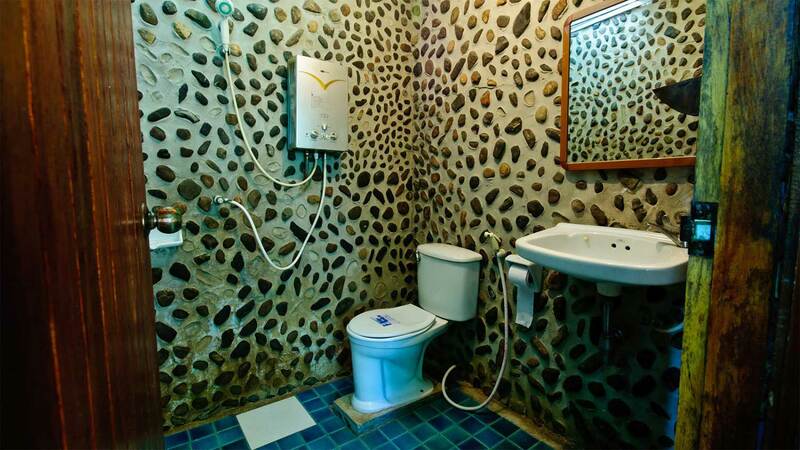 Our clean and comfortable Khao Sok accommodation room types include Double, Twin, or Triple Rooms. 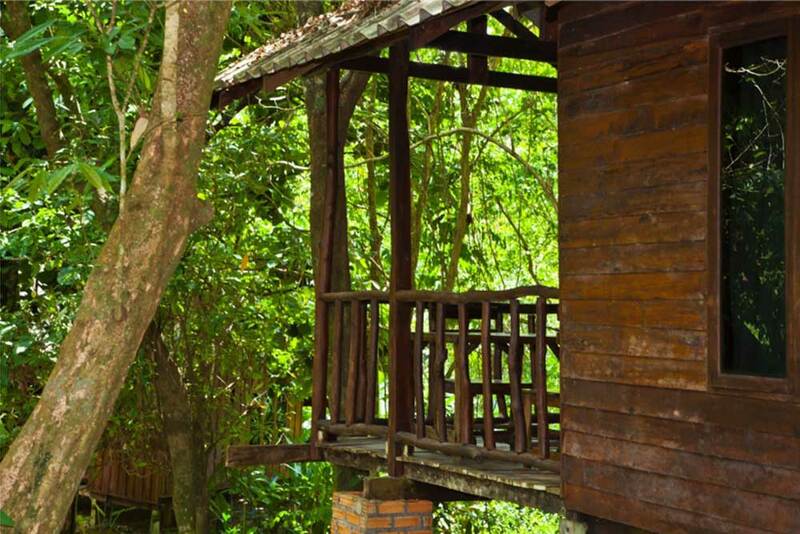 Featuring all-wood construction, our river cottages are spacious and sunny, with large bathrooms and easy river access. 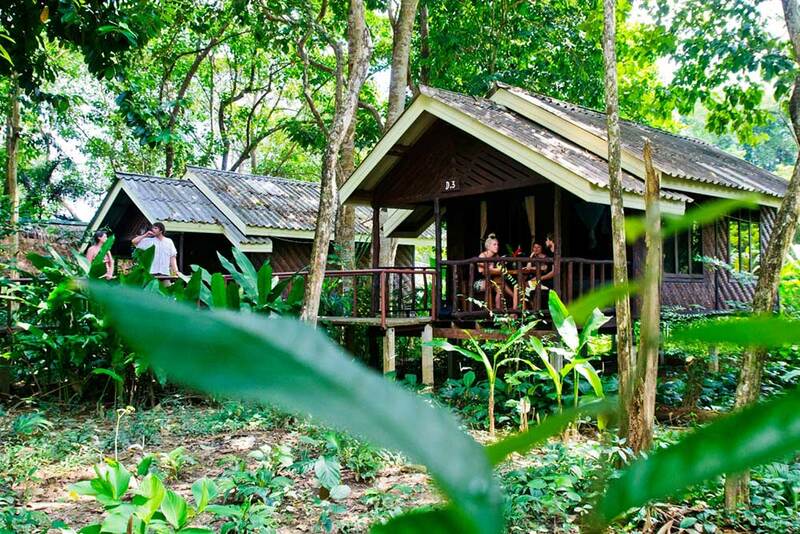 Our River Family rooms are particularly popular with children! 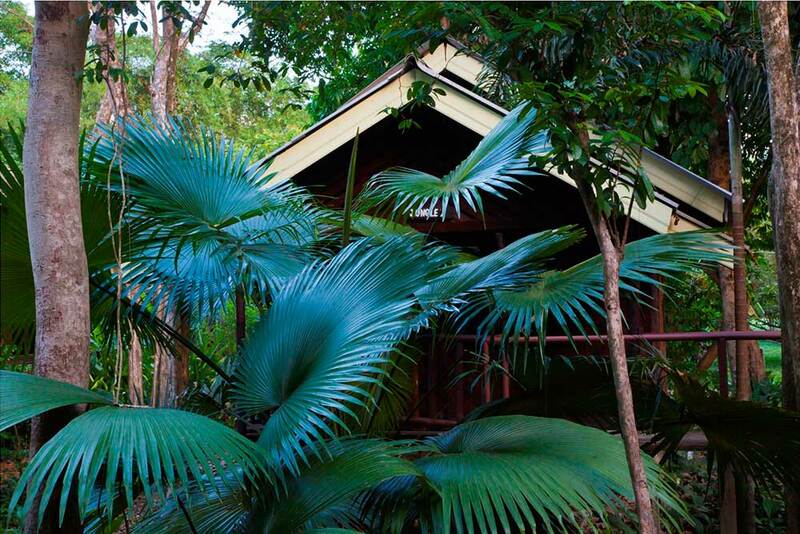 Generously spaced rooms are connected by an elevated pathway through the tropical gardens. 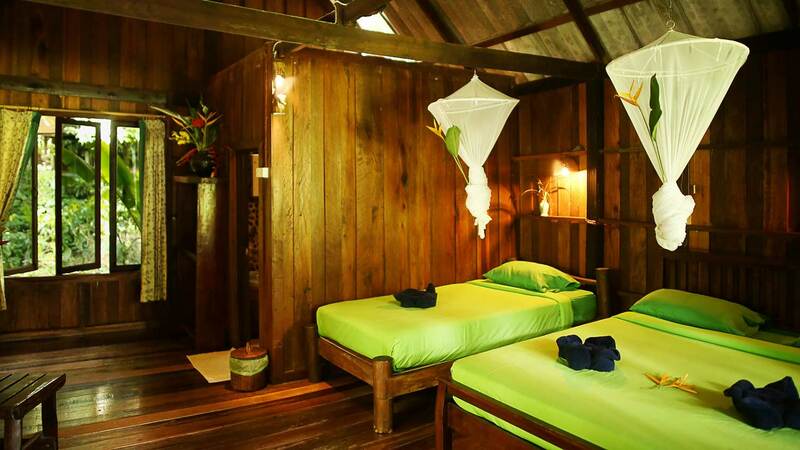 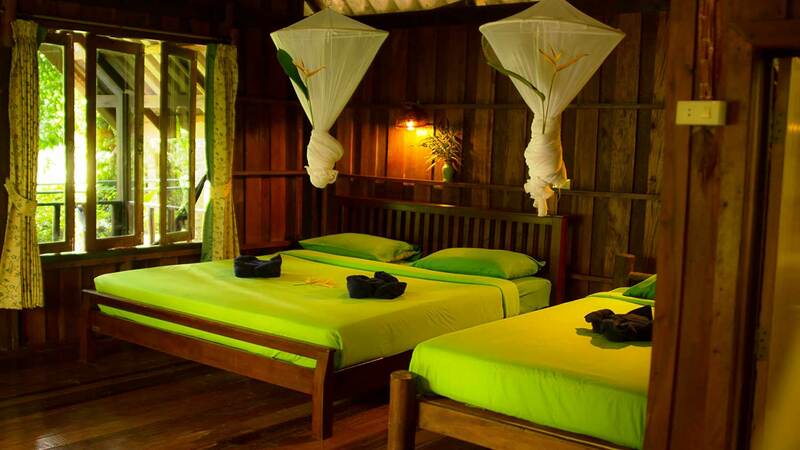 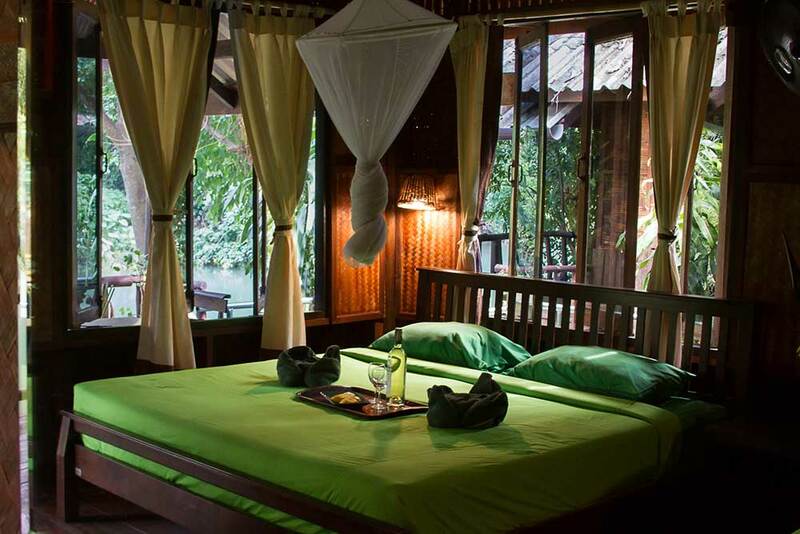 This type of Khao Sok accommodation can sleep 2-4 people. 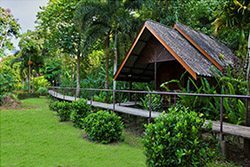 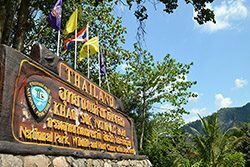 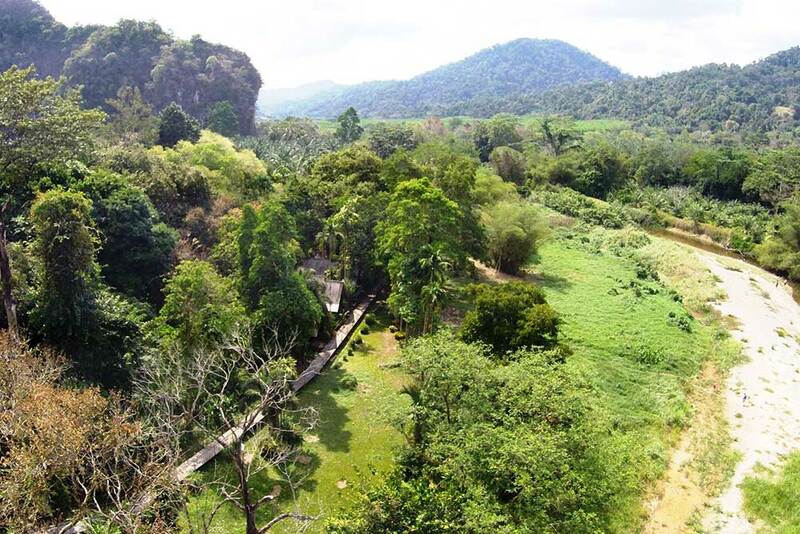 Our cottages are clean and comfortable and whether you choose to relax with the sounds of the forest or the river you will awake refreshed and ready for the activities that Khao Sok and the National Park provide.